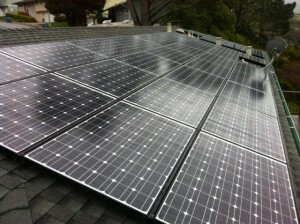 Roofing contractors can and should be the dominant trade installing rooftop solar. If you are a professional roofing contractor with a well established track record and are eager to integrate solar into your business, we want to help you. When you partner with Solar Roof Dynamics, we can help you become one of the leading solar contractors in your local market. If you are interested in either purchasing solar equipment from us or becoming a full-fledged Signature Dealer, please complete the below form. Join our Signature Dealer Network today. Our Signature Dealers enjoy a customized, turn-key program that takes the complexity out of going solar. If you are a professional roofing contractor with a well-established track record and are eager to integrate solar into your business, we want to help you. We enable top-quality roofing contractors to sell solar to their roofing customers as well as compete with traditional solar installers. By integrating solar into your roofing offerings, you can protect and control the complete integrity and performance of both the roof and the solar system. Most importantly, as a Solar Roof Dynamics’ Signature Dealer, you can expect to grow your business and significantly improve your bottom line. We are expanding rapidly across the US. When you partner with Solar Roof Dynamics, we can help you become one of the leading solar contractors in your local market. Let us guide and support you for a fast ramp-up of solar sales. Please fill out the form below if you are interested in becoming part of our Signature Dealer Network today. SRD helps its Signature Dealers offer solar options and efficiently grow their solar sales. Speed: We help you get up and running quickly with minimal investment. Sales and Marketing Support: Stop losing money from missed opportunities. Based on our deep understanding of both roofing and solar, we help ensure not only high close rates for roofing leads but also high up-selling close rates for solar. Access to Leading Financing Solutions: We provide access to market-leading solar financing for your projects. Risk Management: We understand that as a roofing contractor, your success depends on your ability to effectively manage risk. As your “trusted advisor” for solar, we provide unbiased guidance and make sure you have access to best-in-class solar products from reputable and financially strong manufacturers. Training and Technical Guidance: As a Signature Dealer, you’ll benefit from extensive training and technical support to ensure the system design, installation quality and commissioning of systems all lead to high customer satisfaction.